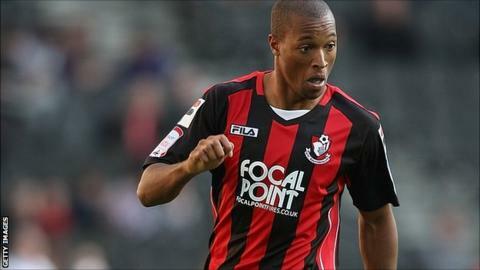 Bournemouth boss Eddie Howe has hinted he may not let striker Wes Thomas extend his loan spell at Portsmouth. Thomas is enjoying a successful spell at neighbours Pompey but his loan at Fratton Park ends after this weekend. And Howe has admitted Thomas has qualities he admires. "He's done very well and scored a number of goals and has the attributes I like in a striker. So we will have to make that call when we can," Howe told BBC Radio Solent. Thomas, 25, has made six appearances for Portsmouth, scoring three goals and new Cherries manager Howe says his performances have not gone unnoticed. It means Howe, who was not at the club when Thomas left on loan, must decide whether to let him extend his stay at Fratton Park - something Pompey manager Michael Appleton would be keen to happen. "He's into his last week and we cannot do anything until that week is up," added Howe. "Once it is and we are able to recall him then we will look at our options and make the best decision for this club." However, speaking after Saturday's 3-1 victory over Shrewsbury, in which he scored, Thomas says he would be open to staying at Fratton Park. "This is a great club," Thomas told BBC Radio Solent. "The team is doing really well and I am doing really well. It's not a decision I'm worried about to be honest. "The manager here [Appleton] is quite keen to keep me and if Bournemouth don't want me then I am coming to a great club. "I'd like to stay. I'm playing well and scoring goals and that is the most important thing."